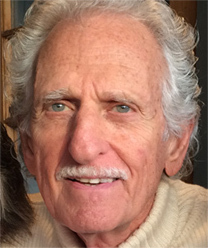 Gerald Sheinfeld came to Avatar Adi Da in February 1972 prior to the formal opening of His ashram and was with Adi Da throughout His formal teaching and Blessing years. Gerald’s direct service included attending Adi Da on His trip to India in 1973. Over the years Gerald was the head priest of each of the Adidam Sanctuaries and served as manager of the guild of head priests in Adidam for over twenty years. 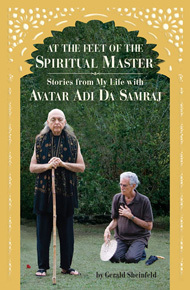 He was a member of the Dasya Mandala as one of Adi Da’s personal attendants. Over the years when I was blessed to witness Avatar Adi Da as He revealed more of His Conscious State, I recorded what I witnessed and how He affected me. I always felt these stories are His gifts for everyone. So I began putting them together for a book. The first writing was all about me and what I experienced. I thought that would be interesting. But an editor turned it down, since it was too much about me. The next writing was all about Adi Da and nothing about me. A different editor turned that down. He said you were there, so you have to be in the stories, but THE STORIES ARE NOT ABOUT YOU. He said that is how you have to write Adi Da’s Leelas. I tried and tried to write so it would not be about me. I prayed for help and soon Adi Da responded. He helped me feel the only way to write about His Leelas was to relive the time of each Leela and fully feel Adi Da and what He showed. Then write from that deep feeling. I found thinking kept weakening the depth of feeling, so it became a practice to keep feeling deeply. At times after writing from deep feelings I would be totally impressed that the words were so full of feeling, Adi Da’s Presence was coming through. Then I knew this book about His sacred Leelas would be a means for others to feel Him. Basically that is all I want the Leela book to do, help people feel Adi Da. Once that contact is made Adi Da will do the rest of attracting and awakening the heart-response to Truth.